Well I picked up a 350. 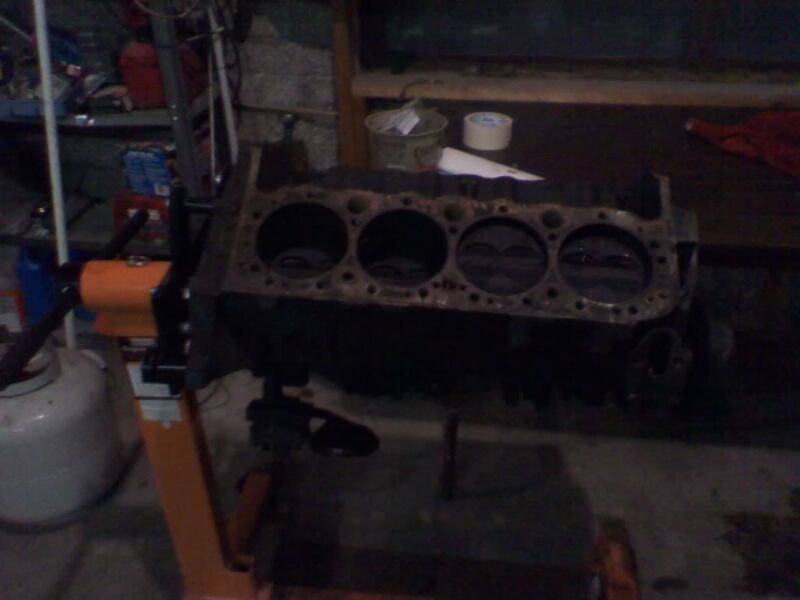 Currently it consists of the block, pistons, crank and heads. It needs a good cleaning but I'll get to that. I would like to get around 300 horses from it but I haven't ever built an engine before so of course advice is not only appreciated but required. I was worried about the valve covers being flimsy like some chrome ones I once put on my current engine that leaked but these are all pretty sturdy parts so I think they will work out. I have also considered a "lopey" type cam but am unsure if the ECM (OBD1) can be programmed properly to deal with that??? Anyway, it is a start and hopefully I will learn a lot from the experience.